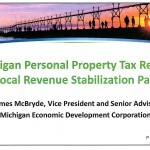 I attended a session on Mighigan’s Personal Property Tax Reform which will be included on the August ballot in Michigan. As with most of these proposals, the language can be very confusing. The vote is going to be held on August 5, 2014 to dedicate a portion of the existing state use tax as a local tax levied by a new statewide authority. The presentation was made by James McBryde, Vice President and Senior Advsor of the Michigan Economic Development Corporation (MEDC). I am including a link to the presentation as well as a frequently asked questions (FAQ) sheet as information. 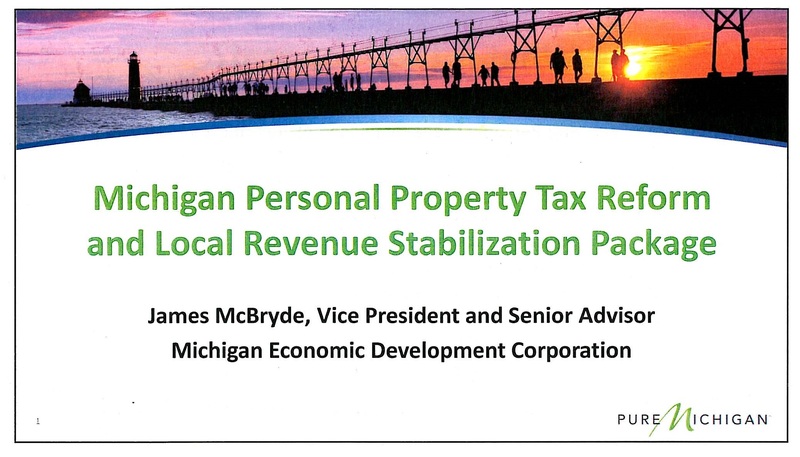 In the presentation package, contact information is provided for both MEDC and the Michigan Department of Treasury. They encourage any and all questions.